In the event that PNMWAV (waveform) files are copied from an experiment without the PNMEXP (experiment) file or the PNMEXP file is corrupt, Ponemah can create a new PNMEXP file from the data files. Navigate to Setup | Application Configuration and select the Advanced tab. Scroll down and set the ‘Experiment.CreateFromWaveformFilesOption’ field to a value of 1. 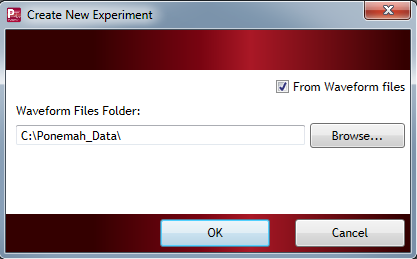 Move the PNMWAV files that you wish to create a new experiment from into a new folder. 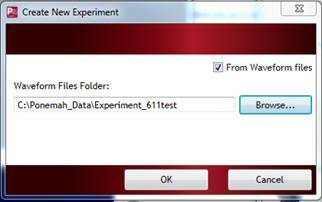 Enable the checkbox to create a new experiment "From Waveform files". Click Browse and navigate to the folder where the files are located, and click Select Folder. Note: the folder is being selected. If it is entered into, no files will be displayed. Still click Select Folder to continue. Once the operation is completed, a new experiment folder will be created which will only contain a new PNMEXP file. 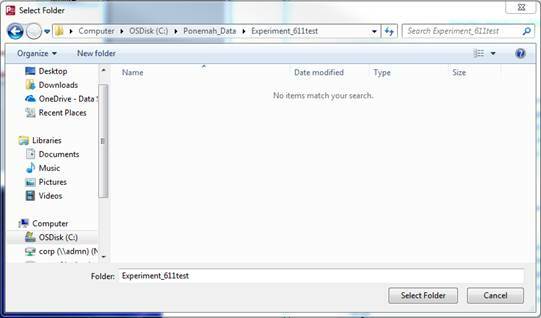 Move the PNMWAV files into this new folder, and then open the experiment in Ponemah by selecting Experiment | Open. The newly created experiment will not have analysis modules selected or channel labels because this information is not contained in the PNMWAV files. 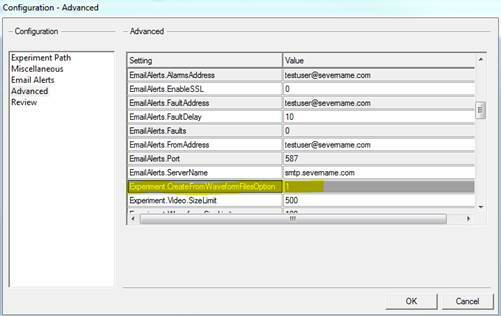 The analysis modules and the channel labels will have to be manually configured in the Subject Setup.